This set of 4 Iconic Australian Wildlife Wine Glass Charms will make your next event a real talking point. These Australian bush species make great gifts for friends and family overseas, as well as great additions for parties and weddings as well as special gift pieces for any wildlife conferences and events. Species include: Platypus, Emu, Kookaburra and Koala. 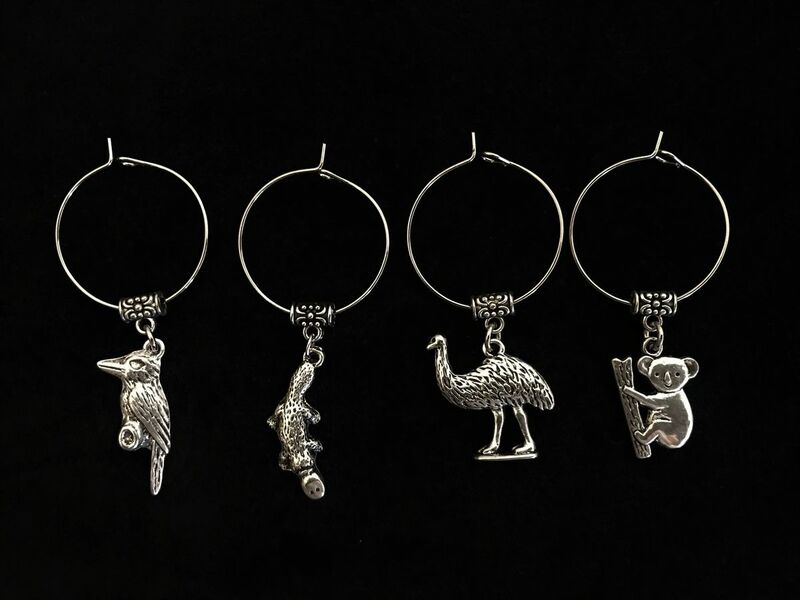 These Australian wildlife charms are silver and made into these beautiful wine glass charms here in Australia. 'The Bush' is an iconic term used to reference to the landscape. All the species in this Bush Wine Glass Set are found living in 'the bush'.